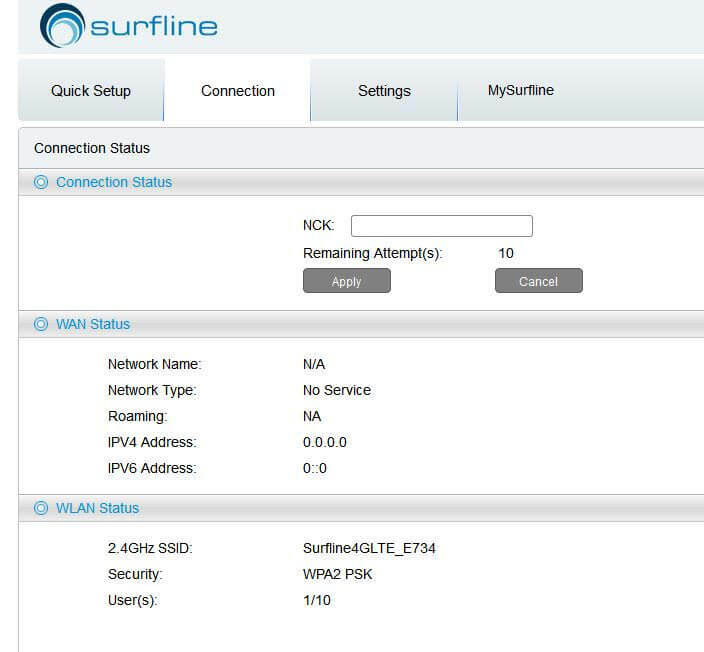 Home / How to Unlock Alcatel Y855v Surfline Ghana Mobile WiFi Router? / How to Unlock Alcatel Y855v Surfline Ghana Mobile WiFi Router? by Sunil Jadhavar on January 09, 2017 in How to Unlock Alcatel Y855v Surfline Ghana Mobile WiFi Router? 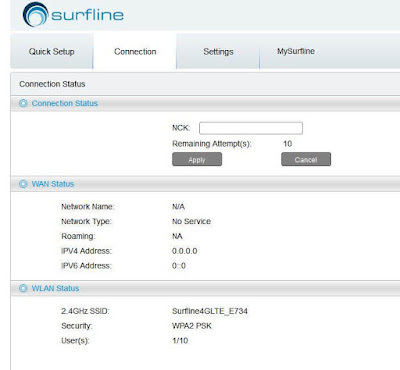 Surfline carrier of Ghana is provided submodel of Alcatel Y855, the Y855v. It comes with uncustomized firmware and can be unlocked easily. Once the device is unlocked successfully, you can use any another network provider SIM, as well as default SIM card. Change the default SIM card with any another network provider SIM card.Connect Alcatel Y855v with the computer using its WiFi or USB cable. Connect Alcatel Y855v with the computer using its WiFi or USB cable. Log in to the device with admin privilege. Under the “Connection Status”, you will find an NCK box and message with remaining attempts to enter the unlock code. Enter here correct 10-digit NCK code and click on Apply button. Once the code is accepted, it will be unlocked forever. Create a new profile according to the new SIM and enjoy the internet. Note :- Unlock Code / NCK charge is only 2.38 USD, which you can pay through PayPal button of this site. Payza and Perfect money are also supported. You might be interested in a list of supported Alcatel devices, for which unlock code are available. If you are from India, then you can unlock Idea and Vodafone locked, Alcatel Link Zone MW40CJ WiFi router using unlock code. Tags # How to Unlock Alcatel Y855v Surfline Ghana Mobile WiFi Router? Labels: How to Unlock Alcatel Y855v Surfline Ghana Mobile WiFi Router?